Rwanda is participating in the FRUIT LOGISTICA trade fair currently ongoing in Berlin Germany- it is the leading global trade fair for the fresh fruit and vegetable business. More than 3,100 exhibitors from over 80 countries are representing the entire value chain for fresh fruit and vegetables from producers to retailers. “Garden Fresh, Proxifresh, Nature Fresh Foods, Esline and FreshPack are participating in @Fruit_Logistica International Exhibition at Berlin, #Germany to market #Rwandafresh products for both existing and new buyers,” NAEB said in a tweet. Organisers estimate more than 75,000 trade visitors from over 130 countries are attending the event from 7 to 9 February 2018. At the Trade fair, exhibitors represent how markets, consumers, companies, and technology are going to change the way fresh produce is procured, transported, and sold. 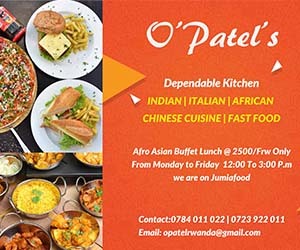 It is of particular importance in an increasingly global and interconnected marketplace, with an overall increase in demand driven by population expansion in certain parts of the world and higher spending on food in general. According to experts, the fruit and vegetable supply chain is in continual flux as it is shaped by emergence of new market segments and evolution of consumer demand. Businesses all along the supply chain – from growers to retailers – are expanding and consolidating. Their advances coincide with a notable drive towards greater efficiency and transparency, a trend that is assisted by seemingly unstoppable technological advance. Europe may not be the most dynamic market for fresh produce, but it surely will remain the most important one for a long time. Worldwide, the percentage of fruit exports that go to Europe ranges between 45% and 70%. 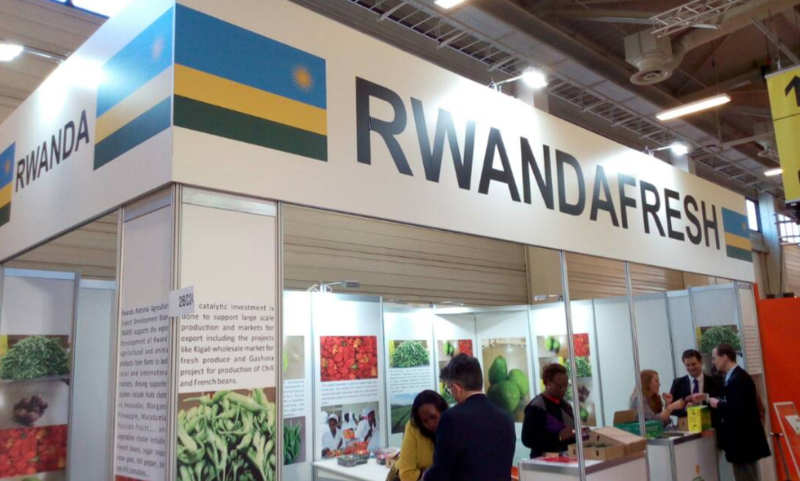 Rwanda fruit and vegetable farmers and exporters would be eyeing this market by hobnobbing and striking deals with key industry players at the exhibition. Besides, Europe is a big producer of fresh fruit and vegetables itself, with approximately 12% of global production. For several products, like apples or onions, Europe has switched from being a net importer to a net exporter in the last few years.